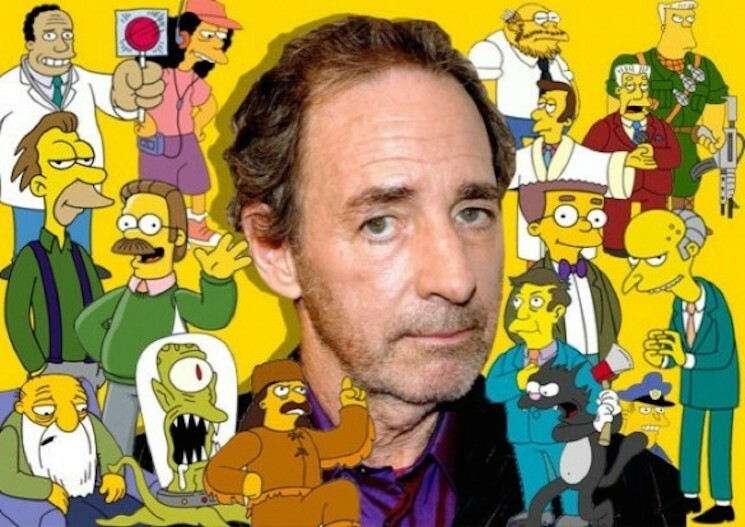 'Simpsons' Showrunner Al Jean on Harry Shearer: "We're Not Forcing Him Out"
Simpsons fans took a break from complaining about the show's declining quality to complain about something else when it was revealed that long-running cast member Harry Shearer was parting ways with the show. Now, in a new interview, showrunner Al Jean has refuted Shearer's explanation and expressed complete confusion at the situation. Speaking with The Hollywood Reporter, Jean said he was "a little baffled" by Shearer's announcement, adding, "The other five [voice stars] signed on May 1 and we offered him the same contract everybody else got offered, but he didn't sign so we started reading like we were going to and [were] waiting to see if he wanted to come back or not. Then about a week ago TMZ somehow got ahold of a story that [an unnamed voice actor from the cast] wasn't returning. "Then last night Harry tweeted something to the extent that he was leaving the show — implying he wasn't wanted — which isn't true. We made him an offer and we're once more saying, 'Do you want to come back like everybody else and work hard and care about the show? Great.' He said he wanted to do other projects, which makes no sense because we've always let the cast do all the other projects they want — they have great free time. So I don't really know what he's up to [or] what he's thinking. I hope he comes back." Jean went on to explain that Shearer's commitments for the show involve a one-hour read-through for each episode, as well as the recording time it'd take to complete each one. Since Shearer lives in England, he's always been allowed to complete these commitments over the phone. Shearer is potentially turning down 44 episodes of The Simpsons, which could have resulted in $14 million USD of income for the actor. Further, Jean said Shearer's excuse that he can't work on other projects simply isn't true. "'m not trying to be argumentative but I have no idea what we're preventing him from doing," Jean said. "This is why I'm really baffled. He's saying it's not the money, and it can't be money because there's not going to be a different offer he's going to get.... It can't be the availability to do other projects, and it isn't that the deal is different than his other cast members. I don't know. Honestly, if it was me, I would take the deal right now. I wouldn't be waiting one second." Jean went on to explain that the show's other cast members have completed myriad other projects during their tenure on the show. He also dropped some names of potential voice actors they'd have replace Shearer for his many characters, including Billy West, Tom Kenny and Maurice LaMarche. He concluded the interview by saying he hopes Shearer has a change of heart. "I want to stress that we'd really like him to come back. We're not forcing him out. I'm genuinely confused by what he's saying, and I hope he calls [producer James L. Brooks]."